We utilize the operational MODIS BRDF products to create spatially and temporally complete bases. Although a nine-year record of global BRDFs from NASA’s Terra and Aqua satellites now exists, its inclusion in regional and global models has been limited by the extensive data-gaps caused by persistent clouds and ephemeral snow cover. 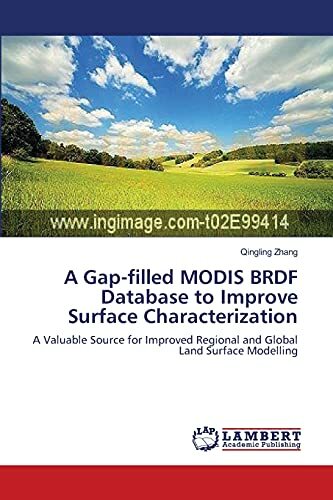 This research focuses on bridging the gaps in the MODIS BRDF products, which is achieved by applying rigorous temporal interpolation techniques based on vegetation development curves. Comparison of the resulting MODIS BRDF products with the direct BRDF retrievals from the POLDER-3 sensor shows a very good linear relationship between these two remotely sensed products. This resulting consistent, high-quality, long-term reflectance anisotropy databases will benefit the regional and global modeling and monitoring communities. Dr. Zhang is a Research Scientist at Yale University, USA. His research currently focuses on monitoring urbanization and its environmental impacts at regional and global scales using remote sensing techniques such as MODIS and DMSP/OLS nighttime lights.